Empire level is upgrading their rafter squares, framing squares and combination square lineups with feature improvements and better marking visibility. Full info in the press release below. 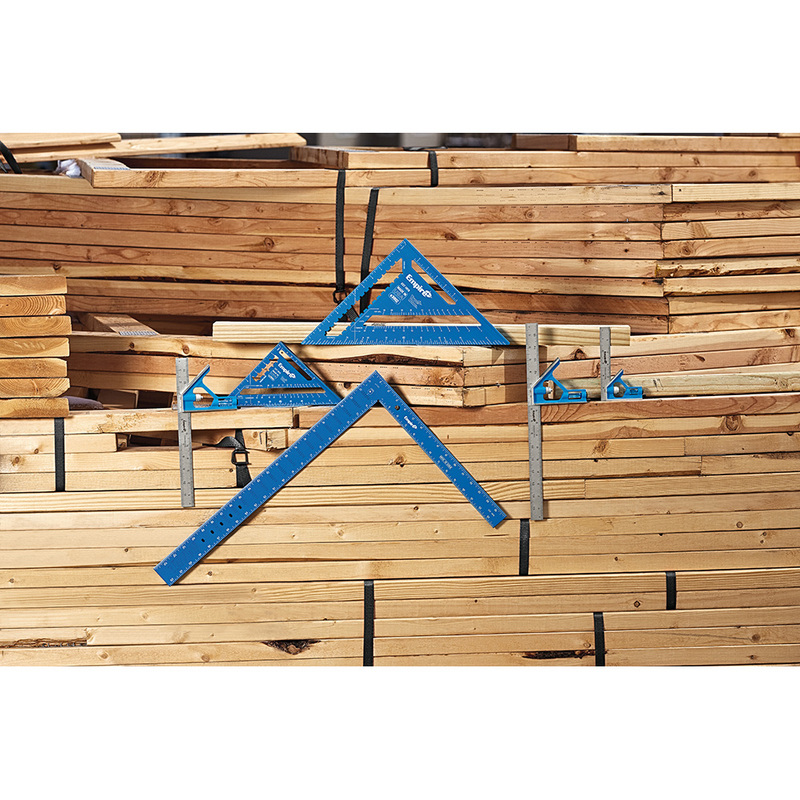 MUKWONAGO, WI – Committed to developing layout and measurement solutions that provide trusted accuracy from project planning through project finish, Empire Level is proud to introduce the next generation of its industry-leading TRUE BLUE® Rafter, Framing, and Combination squares. 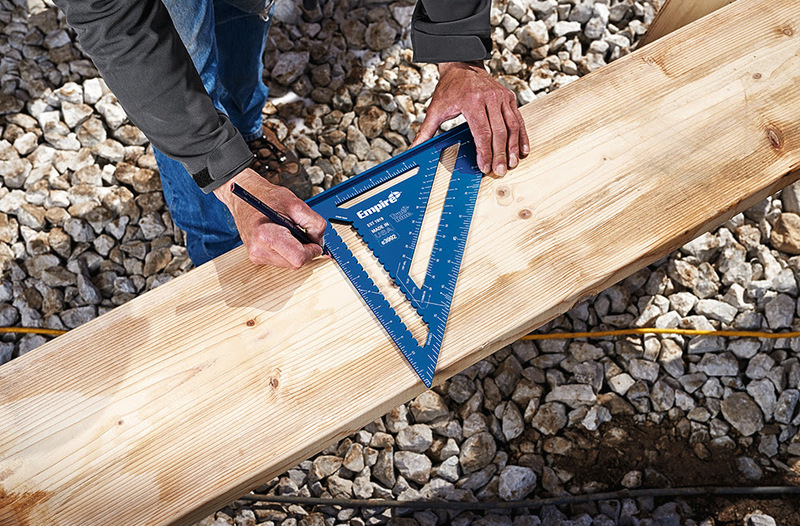 The new squares are designed with an array of best-in-class enhancements, such as permanent laser etched markings and advanced scribing features, for maximum life and accuracy. The next generation 7” and 12” High-Visibility Laser Etched Rafter Squares feature SCRIBE-GUIDE™, a uniquely designed scribe notch pattern for marking at ½ and ¼” increments. Permanent laser etched markings provide superior readability in any light condition, and a 15% wider heel than other rafter squares on the market which allows for better hold and stability on materials during marking and cutting applications. The Rafter Squares are produced using an extruded aluminum design which provides superior durability when compared to other rafter squares available today. The next generation Laser Etched Framing Square features ARC-SCRIBE™, a new-to-world feature that provides common radiuses for marking window and door arches. 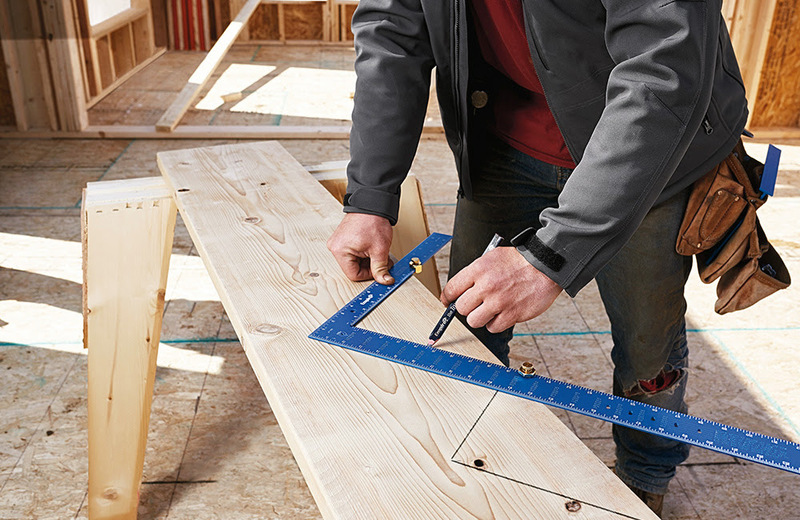 The square is also designed with permanent laser etched markings for superior readability in any light condition, graduation marks at 1/8”, 1/10”, 1/12”, and 1/16”, and convenient conversion tables for common rafter and brace cuts. In addition, the square is made of lightweight anodized aluminum which will not rust. 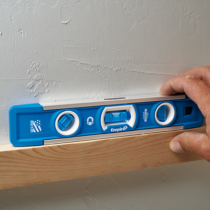 The next generation 6”, 12”, and 16” TRUE BLUE® Combination Squares are redesigned with an improved Blade-Lock™ for faster adjustments and a more secure hold, a Dual-Pitch™ vial for checking 1 and 2-degree slope, and rational head dimensions for quick checks of common dimensions; this combination of features makes them the most versatile and easy-to-use combinations squares on the market. They also feature an etched stainless-steel blade and onboard storage for a hardened scriber. 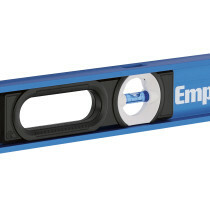 The Empire® Next Generation Rafter, Framing, and Combination Squares join an array of high-performing next generation product upgrades Empire has recently launched to expand its range of advanced layout solutions. 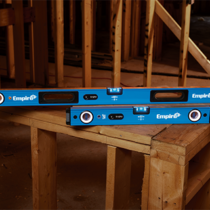 Backed by a limited lifetime warranty, these squares confirm Empire’s commitment to quality and innovation for users on the jobsite and in the shop.